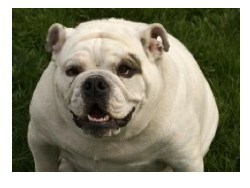 Good news for obese dogs with osteoarthritis – weight loss works! So whilst getting those extra pounds off is never going to be easy, this study should help to motivate us as owners to address the weight issue. Our own black Lab, Jasmine, has always had a bit of a weight issue – largely because she can be fed at least an extra meal a day if one of the children doesn’t realise she has already been fed ! She also has hip osteoarthritis which occasionally requires a short course of anti-inflammatories. Click the link below for a really helpful guide on chocolate toxicity. No substiute for contacting your vet but it will give you some useful guidance. Anyway, you will be pleased to know that , using the above calculator, we realised Jasmine was at risk of mild toxicity. We watched her carefully and although she was a bit sick, you wouldn’t have known there was anything wrong by the next day.